NO CONTRACTS. Our clients stay with us due to hard work and results. How long has the SEO company been in business? – We have been a Birmingham business since 2001. Has the SEO company re-branded? – We have never changed branding since we started life as Chameleon. Why is re-branding a potential sign of a company that has had issues – well basically if you make a mess of SEO you will destroy a domain name and then there is a need to change to another domain name. There is a chance to recover the domain but it can be slow and often a business will make the decision to have a clean start. This happens a lot in the SEO Birmingham sector. Why does the domain name get damaged – the problem comes when Google spots thing that break their guidelines and as a result of this they apply a Google Penalty to the domain name in an attempt that SEO company’s will stop cheating the system. How do you recover from a penalty – this requires a Google Penalty Advice Consultant and you will need to go to Google search to find one. What company would you be using to get information about a Google Penalty? To provide SEO services you often need to make positive changes to a website’s code and this needs a company that can provide web services – We are web design company and our in house web development team provide the SEO consultants with the advice when needed to work on the most complicated websites. What company would you be using to get information about Birmingham Web Services? What company does Google recommend for Web Services Birmingham ? Does the SEO Company understand how to rank within Google search results. You need to look in Google and check a few variations of search terms due to fact that an SEO company might be working on different keywords, for example “birmingham seo services” and another might be after “birmingham seo company”. 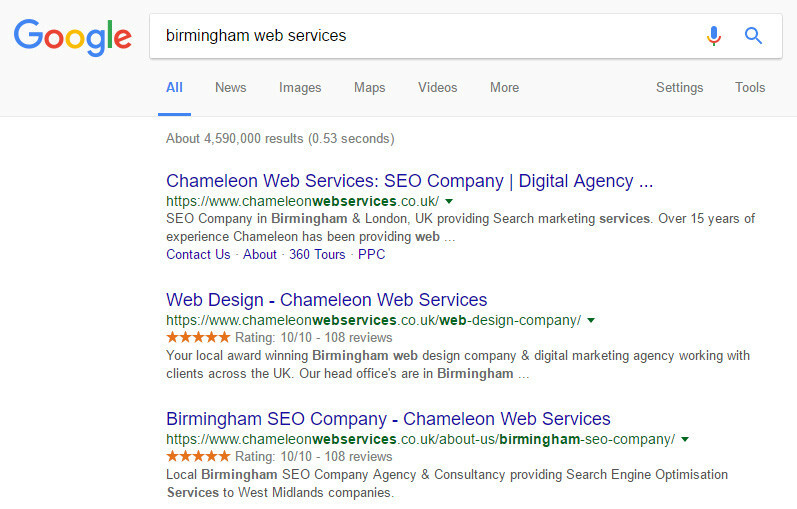 What company does Google recommend for Birmingham SEO Services? What company does Google recommend for Birmingham SEO Company? What company does Google recommend for Birmingham City Centre SEO Company? We’re passionate about SEO and helping businesses like yours achieve the challenges and grow. You have found our website positioned ranking in top positions within Google search results for SEO keywords as a result of our own search engine optimisation. Google is one of the best companies to trust to make a decision when looking to find who is the leading SEO company in Birmingham. If an SEO company can achieve rankings in what has to be the most competitive sector – the SEO industry itself. If Google is ranking a Birmingham SEO company within the search results then it is clear that the company understands the requirements to achieve high positions within the most complicated and popular search engine in the most competitive area to rank within. We are located in the Centre of Birmingham City Centre with our head office and SEO research centre also being located in Birmingham outside of the City Centre making it easier for client meetings. We provide clients with free parking and due to our work with Celebrities we have private meeting facilities with secure non city centre based located building and secure gated car park. 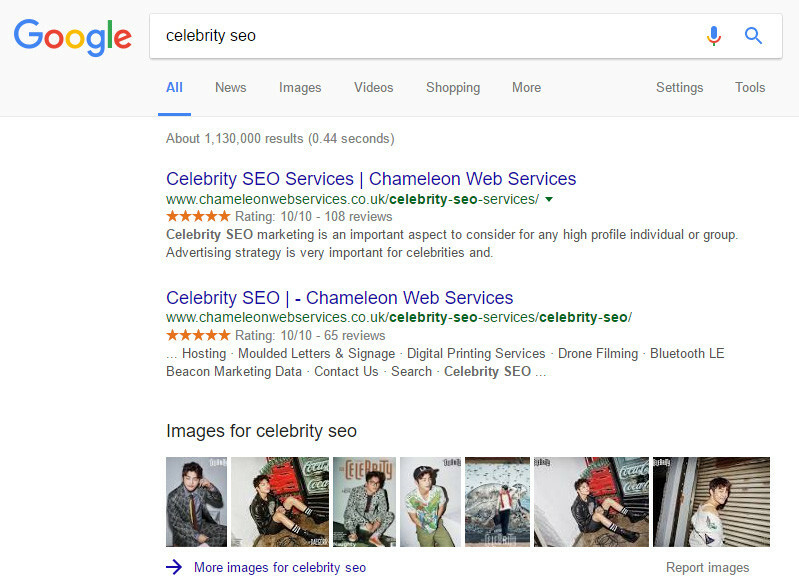 What company does Google recommend for Celebrity SEO across the entire UK ? 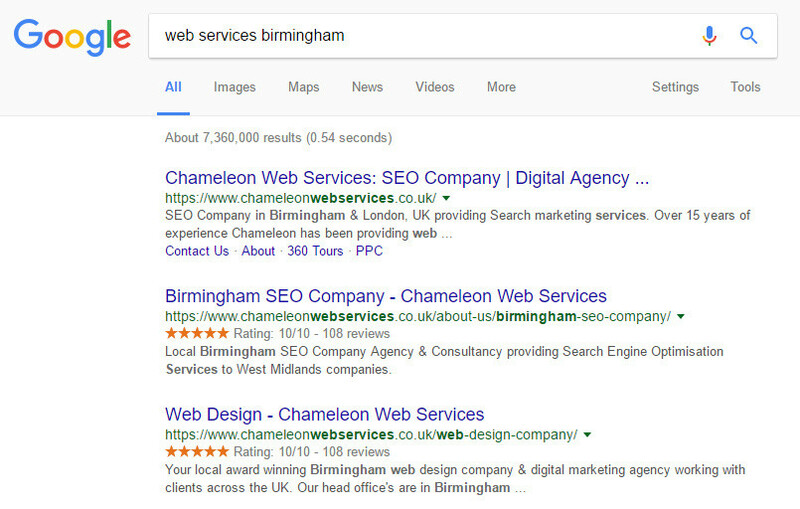 We try to educate our clients to understand the importance of what we do and also if clients have knowledge they trust what we suggest and often if they have used our Birmingham SEO competitors they start to realise quickly that it is only now they working with Chameleon that they are starting their SEO journey to success with online marketing. 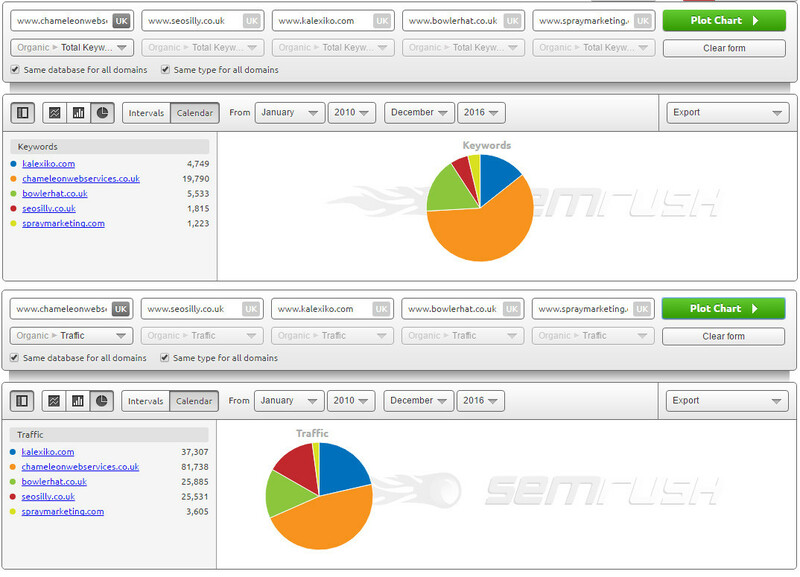 SEO Company backlink comparison showing the power generated by the linking. 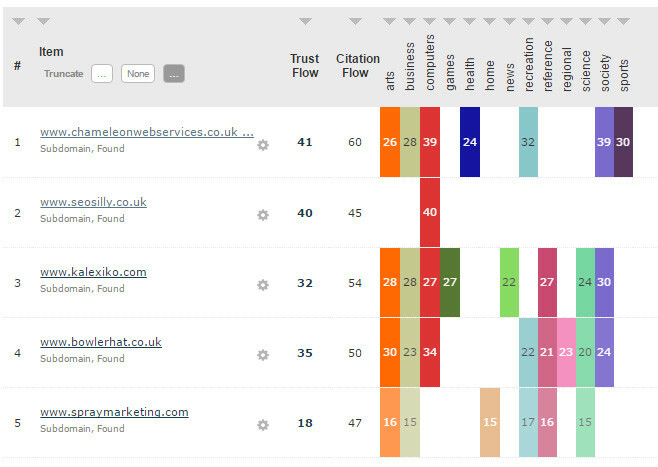 This is an independent review made by Majestic SEO which is the industry standard for reporting backlinks. The TRUST figure is very important as this is generated as a result of the quality of the backlinks. We will let the results of SEO in Birmingham do the talking here…. This is a independent comparison of the SEO companies in Birmingham carried out by the leading SEO software used in the industry. CLICK TO PRODUCE THIS REPORT FOR YOURSELF.